Lauren Siegel is an Advisor at trepwise with experience in marketing and operations management, as well as strategic planning and business development. She brings to the table a wealth of business knowledge and a vast network of local professionals and entrepreneurs. 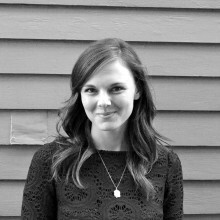 Lauren works with her clients to design effective and creative strategies to scalability and sustainability. According to Lauren, the highlight of working with clients is the opportunity to harness each individual’s knowledge for the pursuit of client empowerment. The result is an enriching relationship that builds capacity on both sides of the table. Lauren leverages these relationships in her work at trepwise to design and implement strategic growth plans for both for and non-profit organizations. Prior to joining trepwise, Lauren worked as a marketing and operations consultant for small and large ventures. She has experience in both for-profit and non-profit sectors, and has worked in a variety of industries including food and beverage, fashion, digital media, public health, and healthcare. Lauren obtained her BA in French and MBA in Marketing & Strategic Management from Tulane University. Lauren is a second generation New Orleanian. Born and raised in the city by transplant parents, she has always seen herself as an integral link between the city’s historical culture and post-Katrina entrepreneurial rejuvenation. Lauren’s love of a good business pitch drives her to serve as a volunteer coach for organizations such as Propeller, Junior Achievement, and City Year. She is also an empowerment coach for the You Night Breast Cancer Survivor Program.